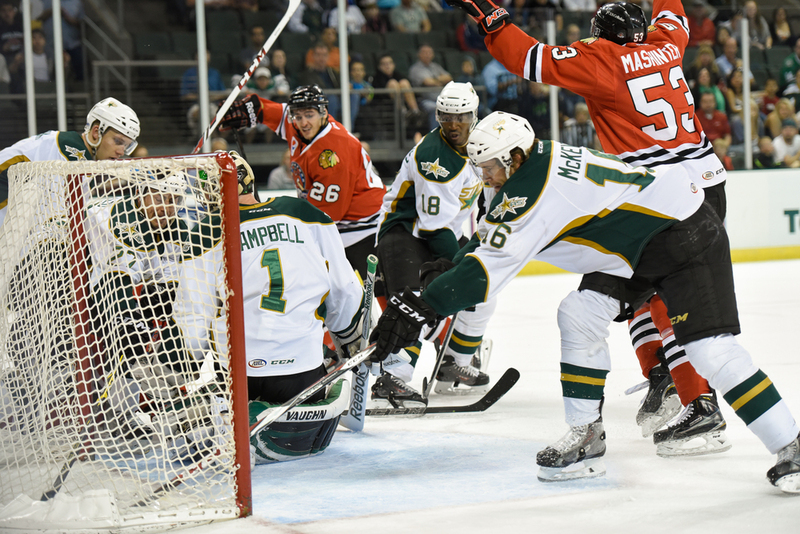 The Texas Stars were defeated last night in their second game of the Calder Cup playoffs by the Rockford IceHogs. It was an intense game with both teams driving hard to the net. 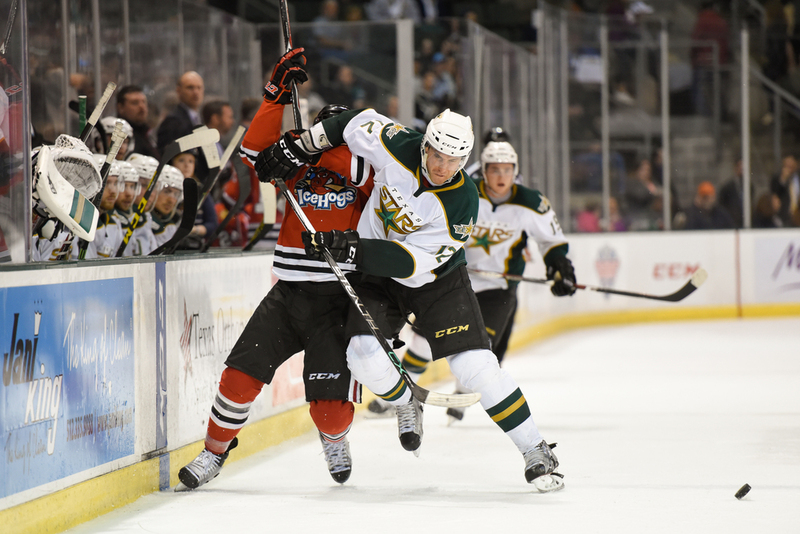 The Rockford power play was a big factor in their victory over the Stars. The first shot is Rockford's first goal and Stars forwards McKenzie and Rallo are desperately trying to clear the puck that has already crossed the goal line. 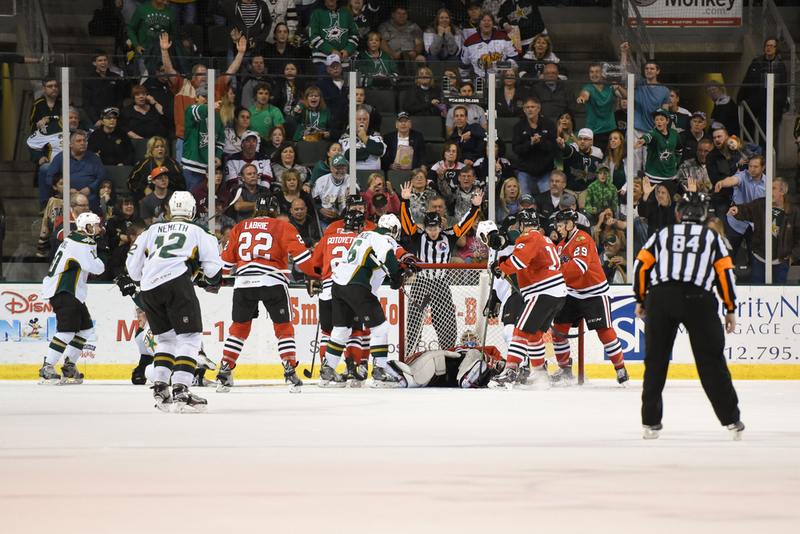 The second shot is the awkward aftermath of the Stars' only goal, scored by Brett Richie. The goal was not immediately called and the goal horn didn't sound until a video review was complete. The third shot is Patrik Nemeth powering past an IceHog in a very physical third period. Full image gallery from the game is here.